Virginia G. Garza, 87, entered eternal rest on Thursday, October 4, 2018 at McAllen Medical Center in McAllen. She was born on Tuesday, November 25, 1930 in China, N.L., Mexico to Lorenzo Gonzalez and Maria De Jesus Maldonado Garza. She is preceded in death by her parents, husband; Erasmo R. Garza, Sr., and brothers and sisters. She is survived by her children; Juan G. (Sylvia) Garza, Erasmo Garza, Jr., Irma (Bonifacio) Salinas, Enrique (Yvonne) Garza, and Jose Luis (Olivia) Garza, 14 - grandchildren, numerous nieces and nephews. 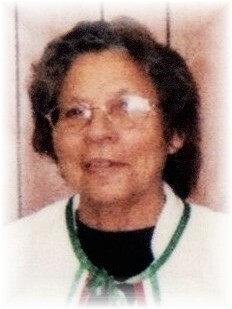 Virginia lived in Edinburg most of her life and was a member of the Lady of Guadalupanas at Holy Family Catholic Church. She was a loving wife, mother and grandmother who help raise many of her nieces and nephews. She loved to crochet and garden, but her greatest joy was spending time with her family. The Garza family received friends on Friday, October 5, 2018 from 4:00 PM - 9:00 PM with a Rosary prayed at 7:00 PM in the Chapel of Peace at Ceballos-Diaz Funeral Home, 322 East Kuhn Street in Edinburg. Catholic Mass will be Celebrated on Saturday, October 6, 2018 at 1:00 PM at Holy Family Catholic Church, 1302 East Champion Street in Edinburg. Catholic burial will follow to Palm Valley Memorial Gardens Cemetery, 4607 North Sugar Road in Pharr. Having the distinguished honor to serve as pallbearers will be: Bonifacio Salinas, Jr., Steven Salinas, George Salinas, Juan Carlos Garza, Roberto Miguel Garza, and David Rey Garza. Funeral services have been entrusted to Ceballos-Diaz Funeral Home in Edinburg.